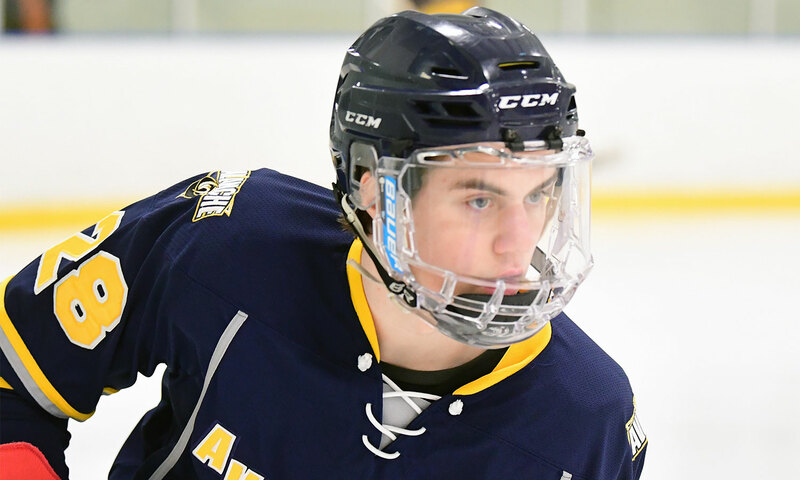 For the sixth time in franchise history, the Muskegon Lumberjacks will exercise their tender option, foregoing their Phase-one, first-round pick in order to sign defenseman Dylan Gratton to a tender agreement for the 2019-20 season. Gratton hails from Pottstown, PA and recently celebrated his 16th birthday on Feb. 25. The young blueliner stands at six feet tall, weighing in at 160 lbs. Most recently, Gratton played for the North Jersey Avalanche, the same youth organization as current Lumberjacks forward Alex Gaffney. This season Gratton played at the U16 level, one year above his age group, where racked up 14 goals and 18 assists in 46 games. In the ‘17-’18 season, Gratton played two years above his age, and produced 12 goals and 14 assists in 47 games. Dylan was first noticed by Hamilton and Assistant Coach Josh Nelson at the USA Hockey NTDP Evaluation Camp, where he stood out right away. Gratton is committed to Penn State University, where he will play collegiately with his older brother, Tyler Gratton. Tyler may be best known for scoring the game-winning goal in double-overtime of the 2017 Clark Cup Final, earning Chicago the championship. As part of the tender agreement, Grattton will play in 55 percent of Lumberjacks' games next year. Muskegon still has their second tender available; should they decide to use it, they would surrender their Phase-two second-round pick as a result. Teams are allowed only two tenders per year.